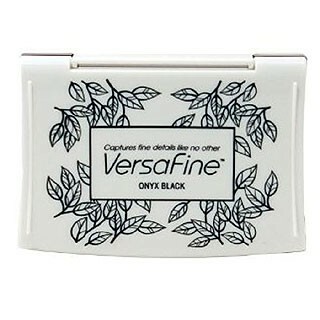 At Impress, when we want a really black black stamp pad we use Versafine Onyx Black. Versafine captures fine details like no other pad. It also dries quickly so its the perfect pad for outlined images you want to watercolor. One other plus is that it lasts 5 times longer than other pigment pads!